LEMAR, meaning ‘sun’ in Pashto, was launched in 2006 and is the first station in Afghanistan to devote itself purely to Pashto language programming. Its mix of entertainment, news and current affairs are widely respected for their apolitical tenor and resonance with Pashto-speaking audiences. 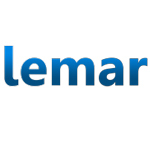 LEMAR is available on terrestrial across Afghanistan and on satellite across the region including Pakistan and the UAE.